Life Insurance Is Simple, Right? The basics of life insurance at its core is pretty self-explanatory. Should the person who is insured with life insurance pass away, the insurance company will pay out the agreed upon amount to the insured’s beneficiaries. Life Insurance, however, can get very complicated, because of the different kinds of life insurance and the variation of benefits and features. Bottom line is this: unless someone has significant assets, most people need life insurance to protect their family should they or their partner pass away prematurely. Term insurance is typically the best choice for this need because it is much less expensive than permanent life insurance. There has been great debate for many years about the benefits of permanent life insurance vs term life. I take the approach that life insurance is only one component of your financial plan. Therefore, your decision about the amount and kind of life insurance should reflect both your needs and your current (and projected) financial position. Permanent life insurance on the other hand is much more expensive (when initially taken) because it ends when the person passes away (Unless the person cancels the contract or stops paying the premiums). The insurance company will have to pay out the amount agreed upon some day, it’s not a matter of “if” but “when”. Therefore permanent life insurance is much more expensive when taken out. The insurance company has to build up enough money (from the premiums paid and their investments) so they can pay out the death claim when it happens. Permanent life insurance policies frequently have an “investment” component that also allows owners to add extra money into the policy to be invested by the insurance company to increase the value of the policy. There can be some tax advantages to this, as life insurance policies pay out tax-free upon the death of the insured. So which is right for you? Well if you’re buying life insurance to protect your family by replacing your future income and cover your mortgage or other debts; you’ll likely want to buy term insurance. Now, many clever insurance agents wanting to increase their commission may try to encourage you to take a permanent policy by talking about how it will accumulate value over time. They’ll say that if you buy term at the end you’ll have nothing, and wouldn’t it be better to at least have something even if it’s more expensive? Well there is some truth to what they say; yes permanent policies can build up value overtime and yes all things being equal it would be nice to get something at the end if you want to cash it…BUT, if you consider the fact that if you decided to buy term life insurance rather than the a permanent policy, and you invested the difference (in premium you would have paid should you have purchased the more expensive policy), you’ll almost always be better off because you’ll make a lot more money investing the money yourself than the insurance company would within your policy! However, if you are retired and your considering options for your estate (where taxation and security is more important than return for your investments), a case can be made for purchasing permanent life insurance as an investment. There is favourable tax status as it grows and also life insurance by-passes probate and executor fees. Permanent life insurance could also be useful to protect your estate if you’re expecting to have a large tax bill upon death (perhaps from a large RRIF or capital gains on a second property). There is a time and place for each kind of life insurance, so it’s important to make sure it is used correctly so that your money is used effective and efficiently. I’m proud to be able to offer both insurance & investment solutions allowing me to help you make better decisions in in each regard. 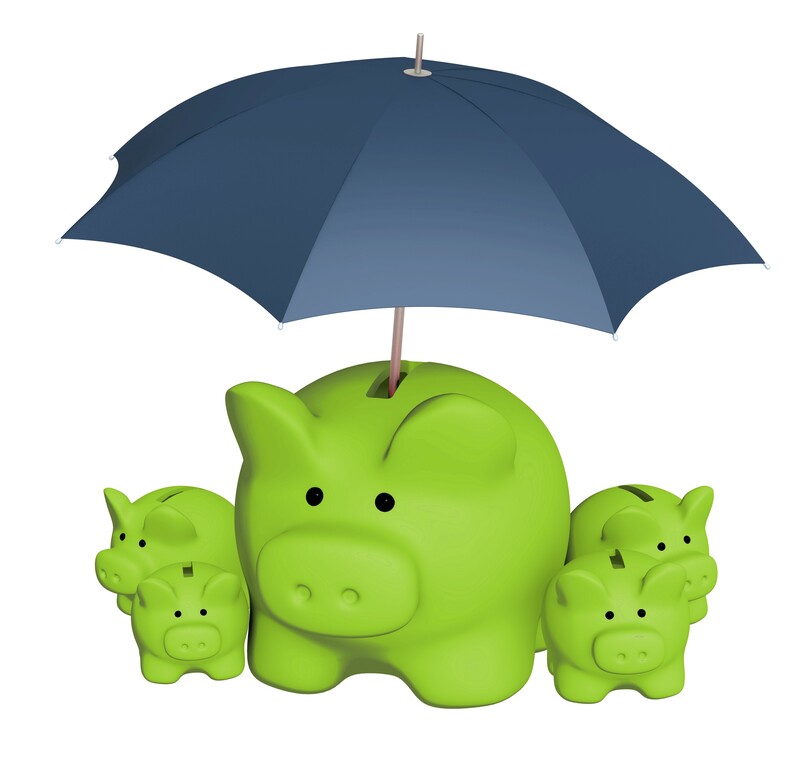 Most young people would do best to have term insurance, because they need it to protect their family while they accumulate assets for retirement. Once those assets start to accumulated, less life insurance is needed. If you’ve planned well, by the time you retire you shouldn’t need any life insurance to protect your family any longer.